If you are a Perl developer, this guide provides an overview of options for connecting to Neo4j. While this guide is not comprehensive it will introduce the different drivers and link to the relevant resources. 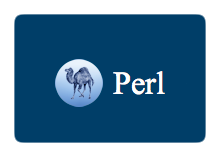 Members of the Perl community have invested a lot of time and love to develop all these drivers, so please if you use them, provide feedback to the authors. The Perl driver from Mark Jensen is always up to date with the latest Neo4j API developments, and it’s fun to use too. It works with the Neo4j’s REST API by using Perl5 objects in a consistent, idiomatic Perl-style.